The ratio of Lunar/Solar angular diameter was on our observing place only 1.00611 and the totality belt was only 22 km wide. 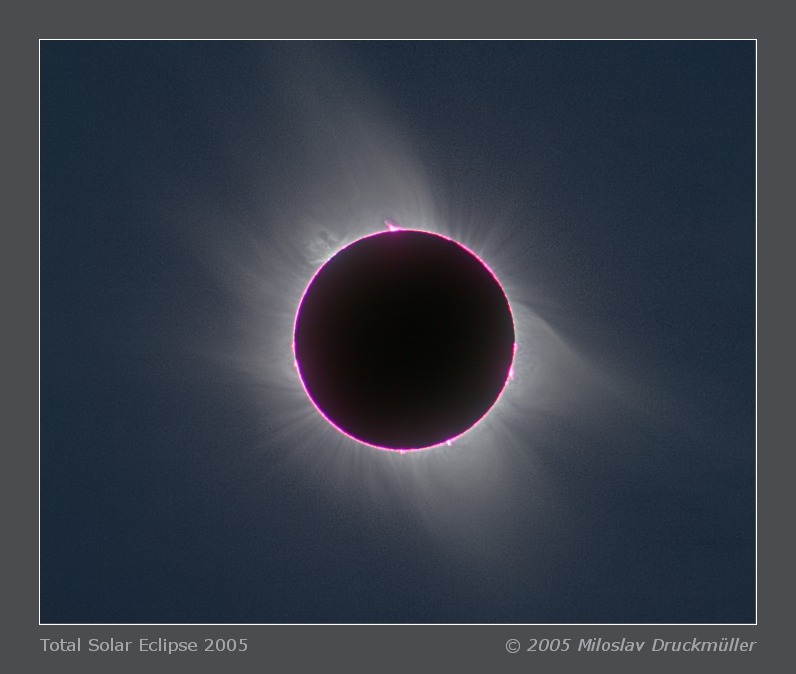 Therefore in the middle of the total eclipse the red chromosphere was visible all around the Moon's edge - really fascinating view. Click on the following reference to display the same image in the maximum quality (631 KB, PNG format).